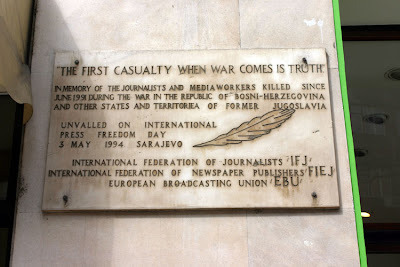 "Sniper Alley" is the informal name for the main boulevard in Sarajevo which during the Bosnian War was lined with snipers' posts, and became infamous as a dangerous place for civilians to traverse. The road was home to the only source of clean water in the city and connects the industrial part of the city to the Old Town's cultural and historic sites. 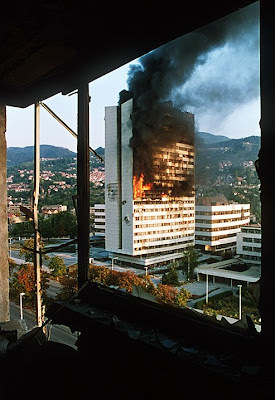 The boulevard itself has many high-rise buildings giving sniper shooters extensive fields of fire. 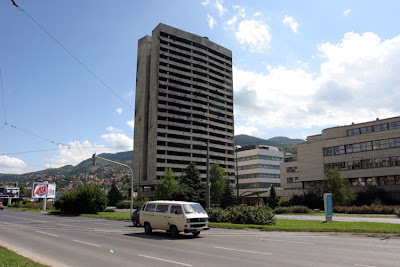 Mountains surrounding the city were also used for sniper positions, providing a safe distance and giving an excellent view on the city and its traffic. 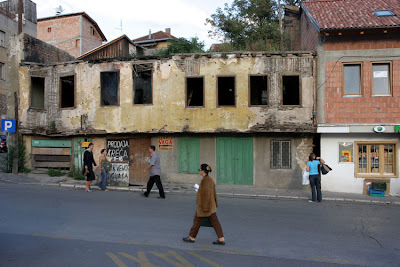 Although the city was under constant Serbian siege, its people still had to move about the city in order to survive, thus routinely risking their lives. Signs reading "Pazi – Snajper!" ("Watch out – Sniper!") became common. People would either run fast across the street or would wait for United Nations armored vehicles and walked behind them, using them as shields. According to data gathered in 1995, the snipers wounded 1,030 people and killed 225. Sniper Alley was fictionally depicted in the film The Peacemaker.